It's really worrying when you get through almost your whole life, only to discover that you have an antisocial habit no one's told you about all this time. But that's what happened to me last week, when I went south for meetings in London and stayed at Adam and Rachel's flat in Southampton. Why had no one mentioned it before, I asked myself. How many people have I upset without realising it, I wondered. Are there other bad habits I still don't know about? Is this why women declare their undying love for me, then move out the next month? Dunno, hundreds, several and yes, I'm guessing. But what can you do? As Robert Burns said in To a Louse, "O, wad some power the giftie gie us, to see oursels as others see us." No matter how in touch with your feminine side - and I'm so close we're practically sisters - regardless of your level of enlightenment - and the Buddha had nothing on me - you just can't know everything about yourself. 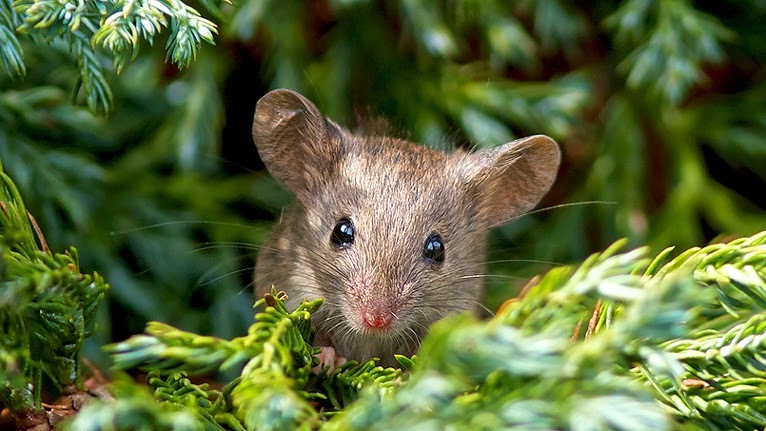 I've come across an interesting story, incidentally, about the incident that inspired Burns's better known poem, To a Mouse. When he worked Mossgiel Farm near Mauchline, the young poet employed a ploughman, a distant relative on his mother's side, who turned over a mouse's nest one day, as they were ploughing the fields together. He was about to kill her and her young family when Burns stayed his hand. As the ploughman told the story later, the poet then went into a daze, standing silently for several minutes, as the idea for the poem and several of its lines came together in his head. When I read this in old parish records in the town, barely seven miles from Mauchline, where I grew up and my sister still lives, I went to see her and told her the story. "And you know the best part?" I said. "The ploughman's name." "Blane," I tell her. "John Blane. He must have been one of our ancestors." But just as Burns did in the field that day, my sis goes silent and pensive. "I don't think so," she says. "How many mice have you killed in your life?" she says. "How many anything have you killed?" she says. "Bugs, slugs, fleas, bees, midges, mosquitoes, crocodiles?" "Me neither," she says. "So how could a mouse-murderer be our ancestor? Will I tell you what really happened?" "It's obvious. You and I have the same feeling for animals that Burns did. He was a well-known womaniser. So John Blane's wife secretly fell for his charms and conceived a child." "And our ancestor isn't John," I say. "It's Robert. That's brilliant! It also explains why you're such a good poet and I'm irresistible to women." "Two out of three's not bad," she says. So there you have it for another week, guys. What's that? I forgot to tell you about the anti-social habit? So I did. Next week, I promise. Hello guys. Great to hear from you. There's a fair bit of fiction in all this, but the stuff about my son is mostly fact. He's doing well at Glasgow School of Art and has a really nice girlfriend now. How's things with you and your family? PS I'm a Yes, mainly for these reasons. And maybe a bit of these. Good and horrendous at the same time - son 1 and family have just invaded our empty nest for maybe 2 years - gone from just us to 7 running around - quite an adjustment but we do what we gotta do! Fortunately - or one might say the opposite - we have the room. Every time one of the kids go in the back woods behind the house (or their bloody dog) I hope they don't find their way back! Yet we've discovered his wife can make fresh bread - there are benefits. Kim and I are working in the election here in NB - he as a tech officer as this is our first computerized results one - and I am his boss so that is interesting but we are more interested in the Scottish referendum than the political process here where one scum-bag will replace the other and the politics of paving and hand-outs are always more important than economic change.... best of luck on Thursday - we are watching closely here in Canada which is very Scottish in roots anyway - maybe we could be Scotland's first colony and we'll shed the cloak of monarchism as well! Kim's retired now and I still do historical research and am editor of a small magazine. I also work at the local golf course so that Kim gets a cheap membership and a free cart!